In the 1920s and 1930s, the Navy experimented with lighter-than-air craft in its fleet. 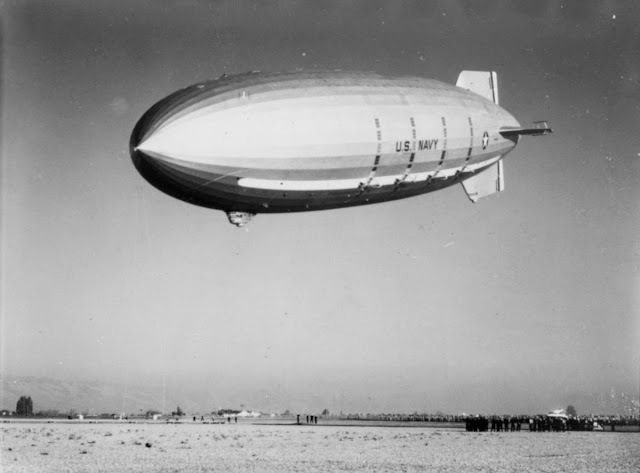 In addition to work with blimps, it built and commissioned two dirigibles – with USS designation – to serve as flying aircraft carriers. These rigid airships, which could stay in the air for about a week, would launch up to five Curtiss F9C Sparrowhawk biplanes from a “trapeze” that would come down, and the planes would land again by hooking into loops in the trapeze. 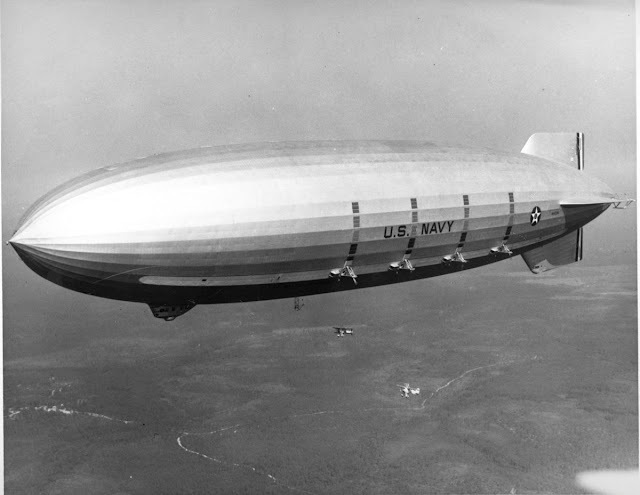 The two airships, USS Akron (ZRS-4) and USS Macon (ZRS-5), were commissioned into the fleet to serve as early intelligence, surveillance and reconnaissance motherships. Sailors lived aboard the airship, complete with a galley and other amenities, and the biplanes would go out on scouting missions as needed. Though they solved a valid requirement, LTA aircraft proved difficult to handle, and four of five dirigibles the Navy built crashed. Only one – the German-built USS Los Angeles, given to the United States as part of the World War I reparations – survived, but the Navy dismantled it in 1939. The following are a collection of images from the National Archives and the U.S. 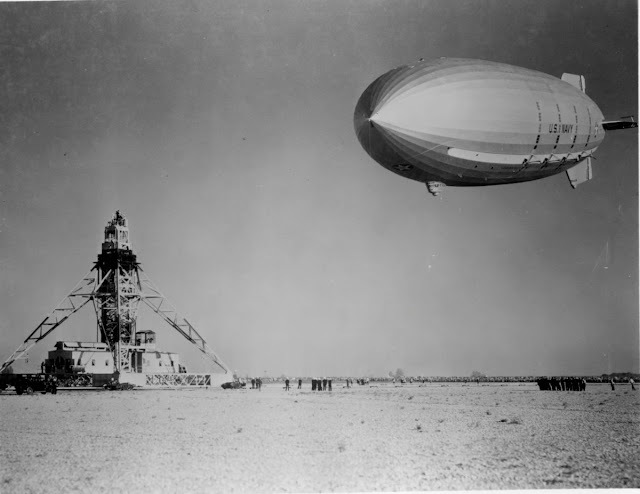 Naval Institute’s photo collection of USS Macon. 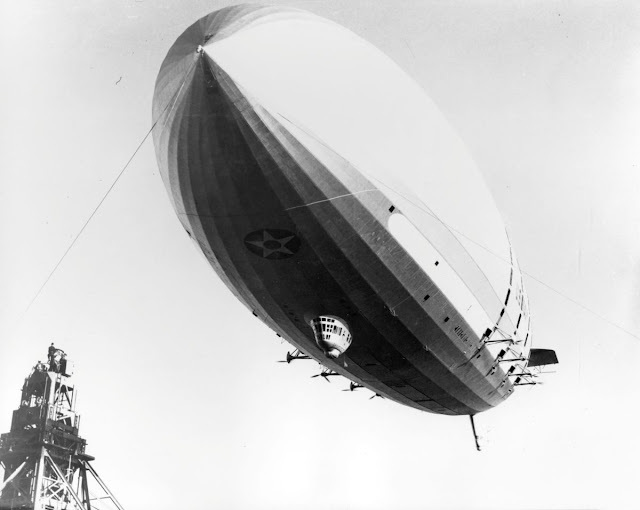 USS Macon (ZRS-5) preparing to land. 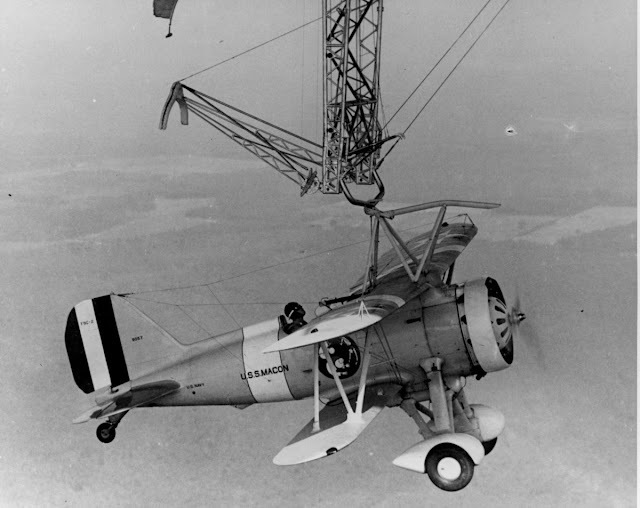 Curtiss F9C-2 Sparrowhawk hangs from USS Macon (ZRS-5). USS Macon (ZRS-5) in 1933 or 1934. #LastWord's Lawrence O Donnell Has Decided To Portray Himself As A Watchdog When He's Really A Lapdog!